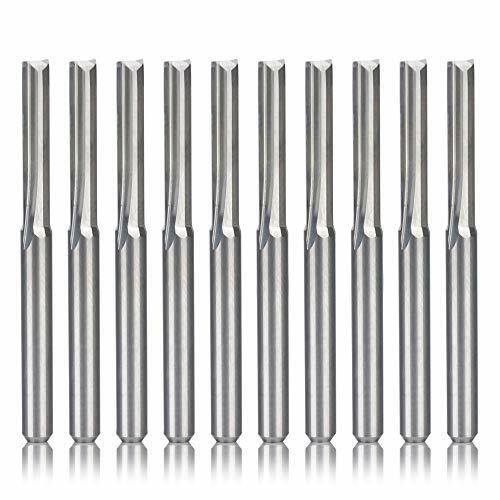 Freud straight bits cut smoother than other bits because of the precise shear and hook angles. End of bit relief allows for fast plunging. 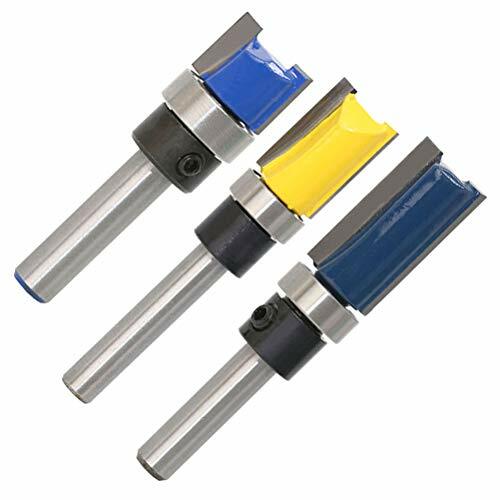 1/4" Overall Dia (D), 1" Carbide Height (h), 1/4" Shank, 2-1/2" Overall Length (H) Ideal For: Clean cuts in any wood or composite. Application: General stock removal with a smooth finish. Made In Italy. Cuts all composite materials, softwoods, plywood, hardwoods, glass fiber, and plastic, Especially for hipboard(melamine board), glass fiber reinforced plastics(carbon fiber material), MDF, etc. 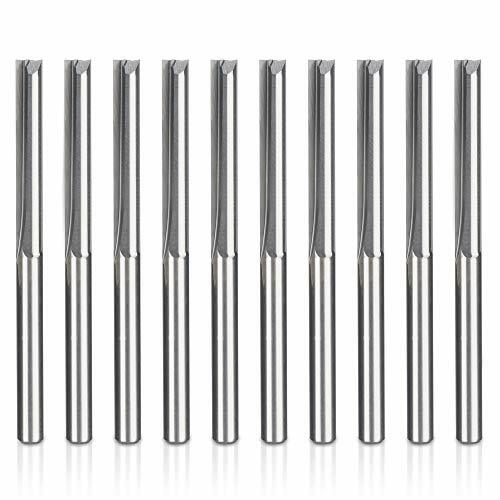 Carbide tipped double flute straight bits are designed to provide excellent smoothness of cut and balanced cutting with minimal vibration. 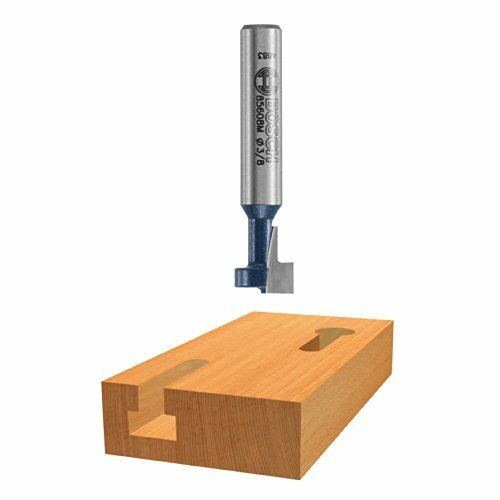 For use with the 4200 series of Porter Cable dovetail jigs. 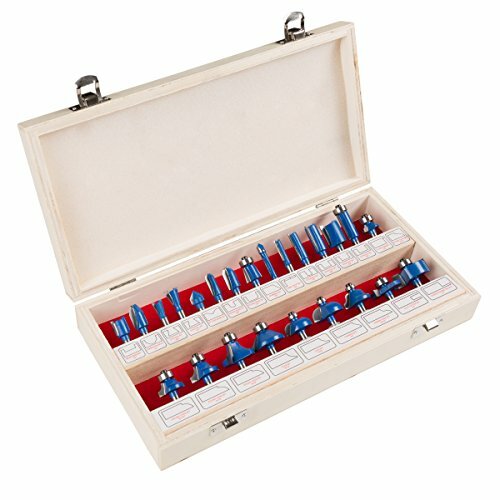 Enables through and half-blind dovetails to be cut. 1/2 In. shank. Manufactured by Porter Cable. 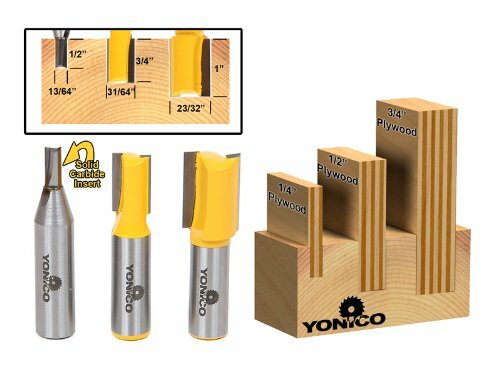 This 3 bit Yonico 14323 Undersized Dado Router Bit Set will make perfectly sized dado cuts for 3 commonly used sizes of plywood; 3/4", 1/2" and 1/4". Plywood thicknesses are actually thinner than the measurement stated. 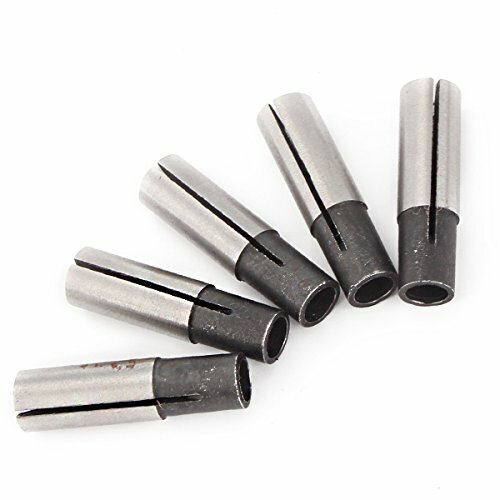 These bits are slightly narrower or "under sizes" to match the actual thickness of plywood. 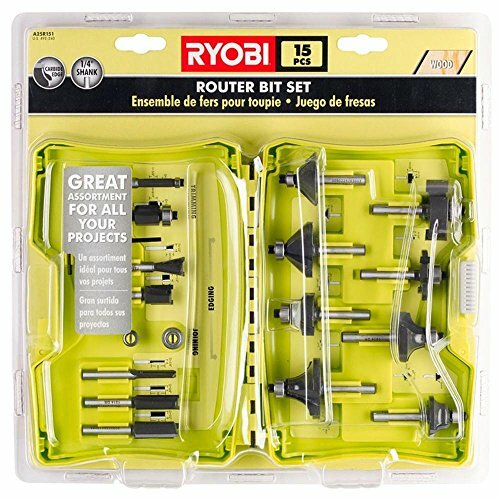 Bits Included 13/64" W X 1/2" H Dado Bit for 1/4" Plywood 31/64" W X 3/4" H Dado Bit for 1/2" Plywood 23/32" W X 1" H Dado Bit for 3/4" Plywood Bits come in a solid wood storage case. 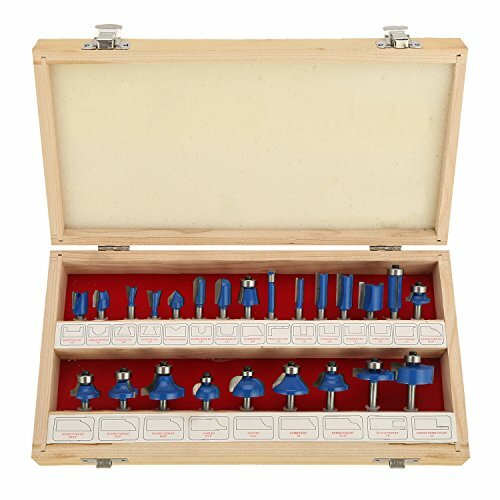 All bit shanks are 1/2". 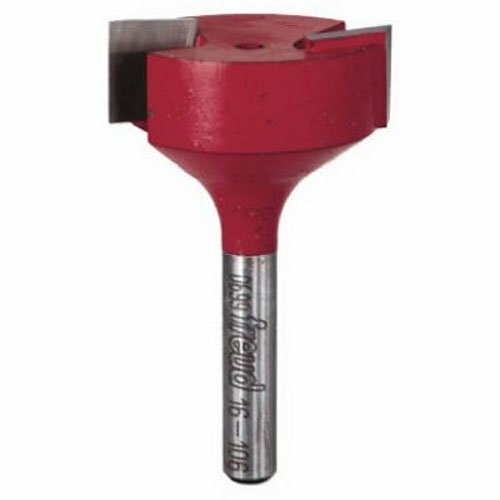 Freud s Mortising Bits are designed with deep center gullets for maximum material removal without chip loading. 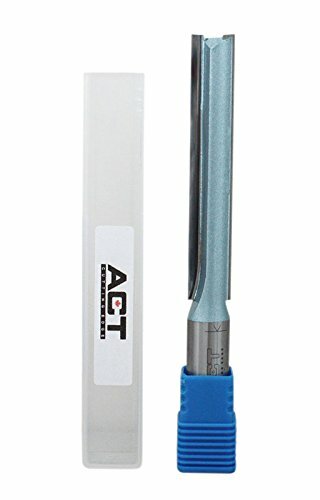 1-1/4" Overall Dia (D), 29/64" Carbide Height (h), 1/4" Shank, 2-1/8" Overall Length (H) Ideal For: Mortising hinges & hardware; dadoes. 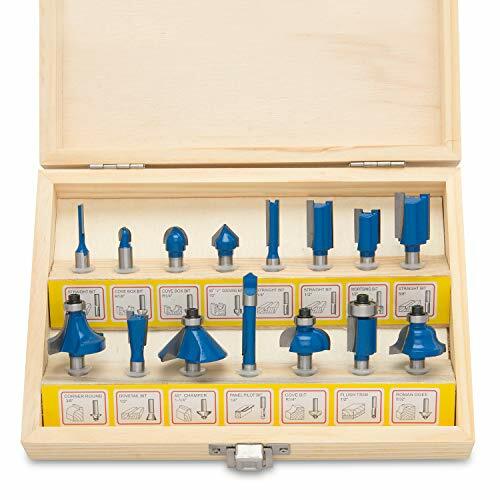 Application: Down shear works to eliminate splintering ideal for hinges, mortises, and dadoes. Made In Italy. 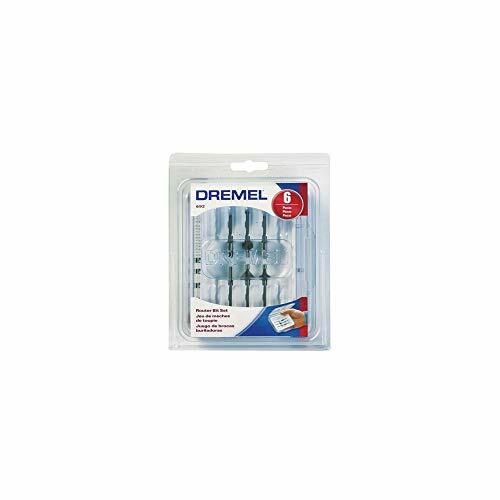 Dremel 654 Router Bit 1/4"
The Router Cutters are made of high speed steel 4241, with titanium coating are very sharp which work well in cutting, three-dimensional slack angle, slits. 2. 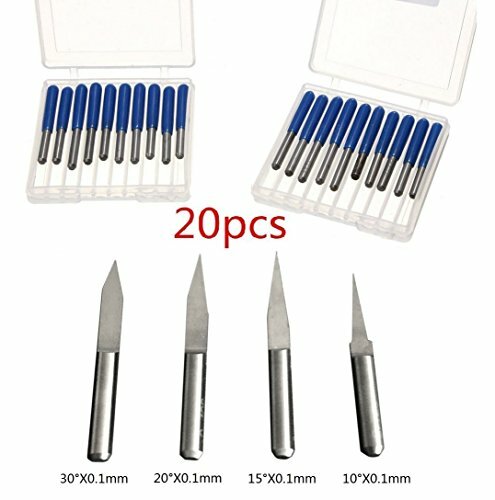 The item is only for industrial cutting/engraving, not hazardous article.